Energy consumption in the Netherlands is rising every year. Activating citizens 'energy awareness' can be a start to address this challenge. After screening the recent VPRO Tegenlicht documentary 'Worsteling van de Groenmens', we will discuss how energy awareness can be activated at the neighbourhood level. The discussion leaders are UvA researchers. Short verbatim film about energy consumption by Kaylee Good and Chris Harris. CODALoop Amsterdam in collaboration with students from the UvA Master’s program in Theatre Studies have created a short verbatim film that examines the way we currently consume energy in our city. By employing the theatrical technique known as ‘verbatim theatre’, the video collects the testimonies of diverse groups of Amsterdammers and their energy consumption habits. By using the exact words of the people interviewed, this visual document creates an experimental narrative that captures, as a snapshot, how energy is consumed in Amsterdam in 2018. Join one of the video screenings during the Festival WeMakeTheCity and the discussion afterwards with the actors and the researchers behind this project. 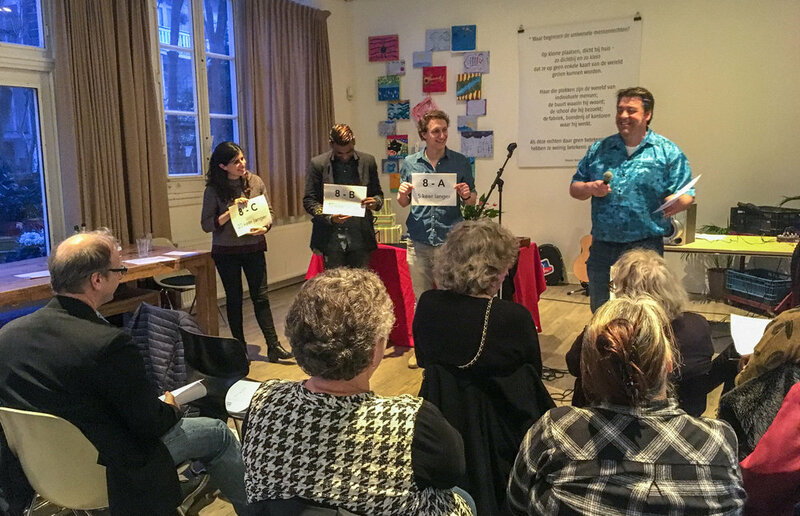 CODALoop Indische Buurt past activities. Learning about energy consumption through personal stories told by a community member. Learning about energy consumption through humour and a quiz competition.